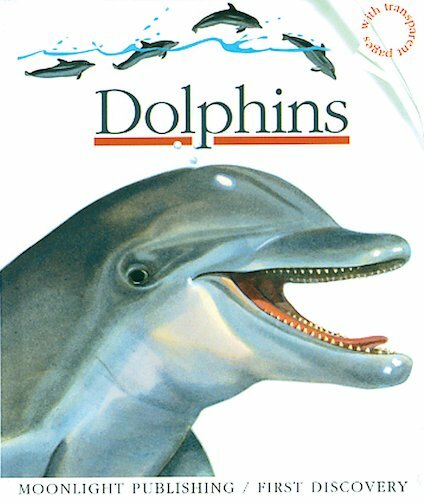 Learn all about a favourite ocean creature in an exciting first nature book, full of transparent overlay pages that tell the story of dolphins in tantalising visual stages. 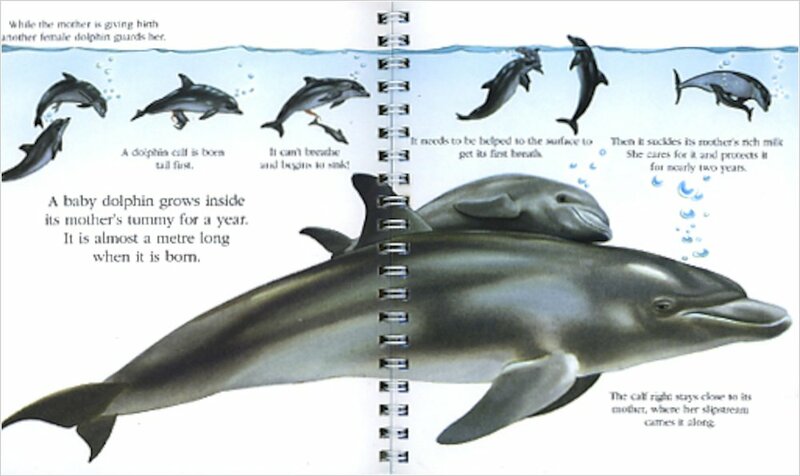 Learn how dolphins are warm-blooded mammals like us, but are born underwater and live in the sea. They “talk” among themselves, and help one another when in danger. As children read through the story, the magical acetate pages turn over to transform each picture, revealing an unexpected side of things. Combining lots of simple facts with beautiful colour illustrations, this sturdy spiral-bound hardback is beautifully written and produced.